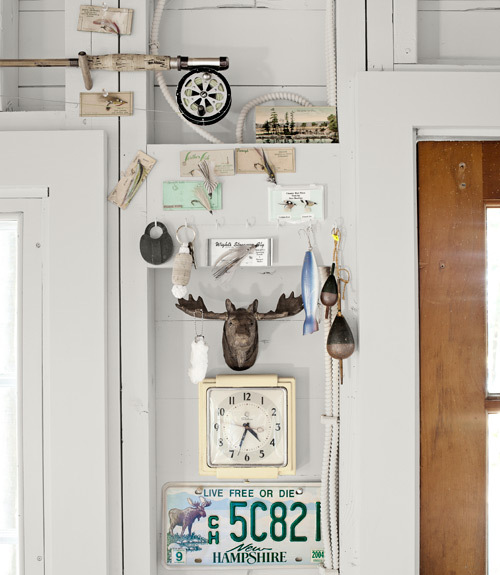 Mix and Chic: Home tour- A charming New Hampshire cabin! 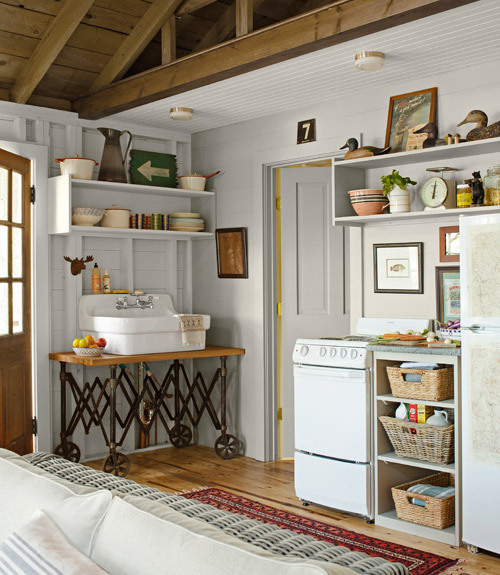 A couple transformed a dark and shabby 500-square-foot cabin into a charming retreat for their family of six, without expanding the home's footprint. Let's take a look. 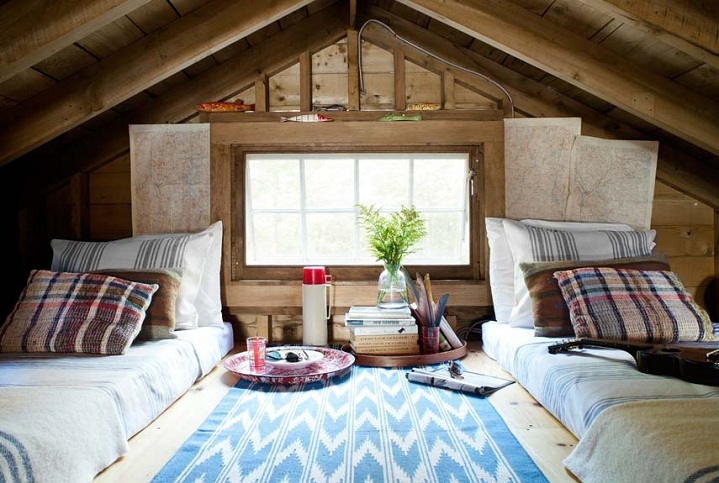 This charming cabin certainly looks and feels bigger than its original square footage. Decorated with mostly vintage items and a few unusual pieces makes this home feels warm, cozy and lived-in. This home is definitely the perfect place to relax with the amazing view outside. It's also a great spot to come back to after a day of lakeside activities. What are your thoughts? 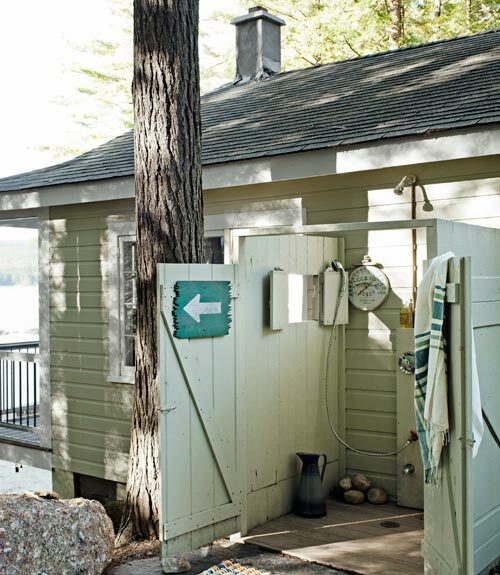 Check out the befores of this lakeside cabin home when you get a chance. The transformation is major and will amaze you, I promise! 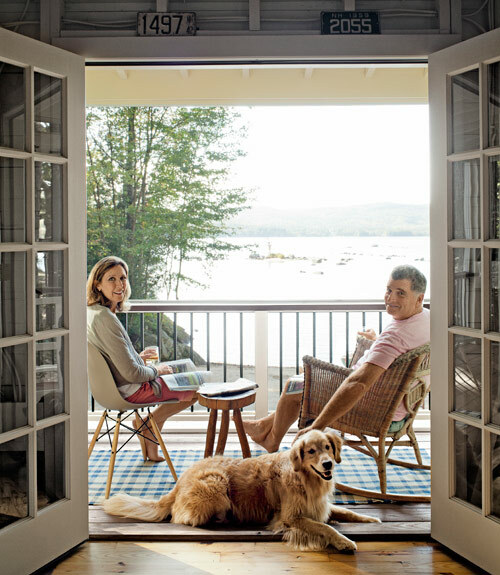 This place looks like such a dreamy and relaxing place - I love all the cladded wood, and, of course, those views!! I love that space. 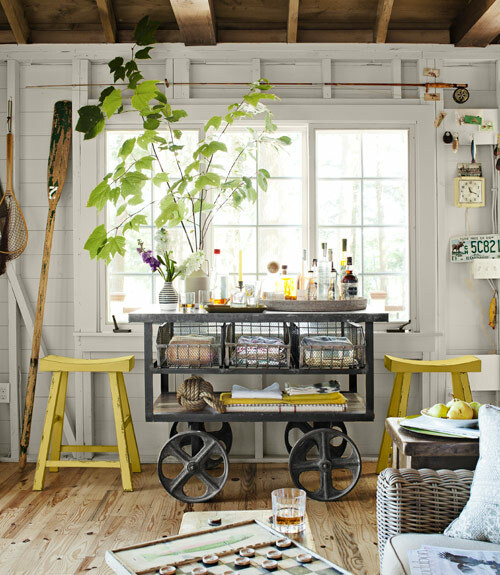 A small space perfectly decorated is really more appealing to me than any amount of square footage. Jessie I love the living room wicker furniture and they have some very cool rolling carts! it's so perfect and so efficient! I seriously wish I was there right this second. This is charming...love the feel of it. It looks so relaxing. I could use that now. Isn't this amazing! they did such a great job! What an amazing cabin, I love the interior and exterior and of course the lovely location!